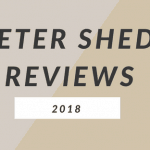 Before we dive in our Keter Storage Reviews 2018, let’s do a background check. Keter has come a long way since 1948. Once a humble company that manufactures plastic combs and toys, The Keter Group is now the largest producer of resin-made products in the world. Now, they manufacture garden sheds, tool boxes, plastic furniture and more. We listed the top storage boxes Keter has to offer as of 2018 and review them one by one together with the features that made them bestsellers. –Sami Sagol, founder of Keter Group, when interviewed about the growth of his business empire. How are these Keter Storages reviewed? The design of any storage unit, whether indoor or outdoor, big or small, is useless if it is not doing what its supposed to. A good storage unit must keep its contents dry despite the wet or cold weather. Not only the contents should they be dry, but also would have to be safe and clean. Not necessarily dust-free but that would be a plus. A good storage unit must also be tough. It must withstand weather of all sorts with little to no damage at all. I wrote this review with the mindset of choosing the best storage unit in their respective categories. For me, a good storage unit should at least last for two years. They shouldn’t even be labelled storage if they would only last for over a couple of months. This is something I also look for in purchasing things that I’m planning to use for a relatively long period of time. Needless to say, a warranty is my assurance that my money is spent on something worth it. If I missed anything that I should have considered in reviewing these storage boxes, just type your comments below. I love how the Keter Eden Bench acts both as a bench and a storage box. Although no max user weight capacity is mentioned, people who already bought this have confirmed that it can hold up to 30 stones. It is very easy to assemble. This is also an attractive indoor choice of storage box because of the design. All of it is weatherproof except for the cushion that you sit on. I tried looking for negative comments just to make sure that I balance things out, but I have not. This a good thing though. Anyway, one downside, in my opinion, is that it comes as one piece. Finding a furniture or other storage that would match this storage bench could be tricky since you would need to consider the design and size. I think it would be better if Keter gives its customers the option to have a set or something to go along with this storage bench unit. The assembly might be something that might take up some time. It comes with clear instructions, but despite this, most of those who assembled this storage box already have the knack for putting things together. It doesn’t have any problems in protecting its’ contents against the rain, but during cold weather, you might find the contents inside a little damp. 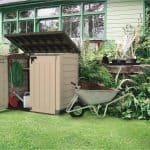 The Pros of this garden storage box just trumps everything else. It might just be the ideal one to represent the Store It Out series of Keter storage boxes. 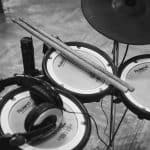 The Keter Store It Out Max is a brother to the Keter Store It Out MIDI and Keter Store It Out Ultra. Reviewers found this to have the best value for money–after all, it won’t become a bestseller if it does not have what it takes. This storage box has already garnered a lot of positive reviews which makes it all the more appealing to me. What makes it unique is the wicker/rattan appearance and its automatic opening mechanism. It can also act as a seat for two with a maximum weight capacity of 220kg on top of it. This storage box can be pretty heavy but is justifiable since it also acts as a bench. It would have been perfect if it has wheels for easy manoeuvrability. What I especially like about this storage box is that the design gives room for a number of uses. The flat lid easily becomes a table or a low desk. Allibert is a member of the Keter Group. So technically, this garden storage set counts as a Keter product. And why not? It has converted the con of Eden Garden Bench Storage into a pro. 99% of customer reviews of a leading seller website are positive. I like how they converted the table into a storage box. Reviewers have proven that the storage box does what its supposed to easily. Keeping things dry and secured. And surprisingly, the whole furniture storage set is easy to assemble. One reviewer has changed her impression with plastic furniture when she tried ordering this. You might find this quite identical with the Borneo Storage Box. But to me, what made the big difference is the design. Forgive me for being bias but I would choose this over Borneo since I’m not a big fan of rattan design. To me, it looks like a treasure chest and this is something I would want in my bedroom. I like its wooden board design. The 200kg lifting capacity of the lid and variety of use is just a plus for me. It has rollers that make it easy to move despite the heavy contents inside. Weatherproof too but like the Store It Out MIDI, expect dampness of content during cold weather if used outdoors. 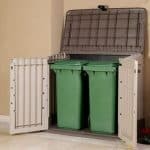 After hours of reviews and a little background check on Keter Group, it is safe to say that these might just be the best plastic storages you can find in the market today. 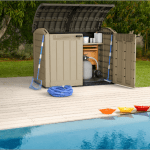 The common denominator for these plastic storage units would be their 2-year warranties and weatherproof. The best storage box goes to my favourite, [amazon link=”B016I9E5KC” title=”Keter Sherwood Storage Box” /] (aka pirate-treasure box) followed by the [amazon link=”B009UVCLQ6″ title=”Borneo Storage Box” /]. Their ability to act as tables, low desks, or platforms is especially useful. The best storage unit goes to [amazon link=”B00H27JWLW” title=”Keter Store It Out Max” /] and his brothers MIDI and Ultra. The wide-entry door/lid mechanism and spacious interior distinguished them from their competitors. The ingenious design of the [amazon link=”B003AQH3J2″ title=”Eden Garden Storage Bench” /] and [amazon link=”B01N4W8D5O” title=”Allibert Outdoor 4 Seater Rattan Lounge Storage” /] Set make the best outdoor storage pieces.